Uvirith’s Legacy has been upgraded to version 3.3. This version is mainly script and dialogue fixes, so it’s safe to upgrade from UL 3.2. A light download version is available for UL 3.2 players. Some of UL’s add-ons have also been upgraded, including the RoHT add-on, TR add-on, and MWSE companion add-on. The next version, a major overhaul, is in the works, but it’ll be a while before it’s finished. The Tea Mod 2.o adds a whole new tea shop full of brand new items, as well as some mesh improvements on the original stuff. Rincewind’s Luggage has finally been taken out of beta, because I finally figured out how to make the thing stable. ST Alchemy is a new mod based on Sri’s Alchemy. It upgrades Sri’s meshes and textures and adds a few new ingredients including several new kinds of mushroom. 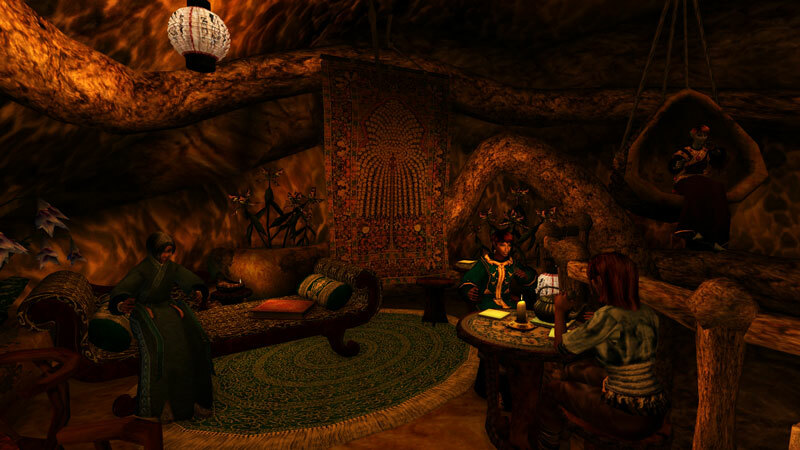 The base mod is a lite version of Sri’s Alchemy without alterations to Morrowind’s original ingredients. The whole thing is going to be modular, with balance and economy changes in separate mods. Currently, only the base mod is finished, but it’s totally playable as is. Quest Tweaks and Alternatives is a mod that adds more options to Morrowind’s original quests. It’s not a total overhaul (as in, it doesn’t remove or alter existing content beyond recognition), but rather a light mod that simply gives you more ways to tackle the quests you’re given. It currently deals with things like the conflict between the Telvanni and Mages Guild, and will eventually expand to other factions, towns, and wilderness encounters. Mesh Improvements Optimized is a non-esp replacer for many misc items, designed to look as close to the original meshes as possible. New versions will be released as I add new meshes. Is a freelance writer, editor, illustrator, and graphic designer. She’s modded Morrowind under the name Stuporstar since 2006.